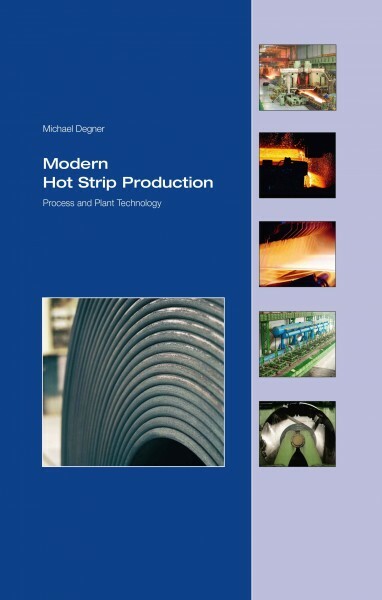 This book contains contributions and references to the quality improvement, to the increase of plant availability and the yield, to conserve resources during production as well as to automation, control and metallurgical Plant concepts in the rolling of Hot Strip. The contributions are both published summaries of technical papers presented at international conferences and the published results of own papers and patents. Focal point of the papers is the optimization of the geometric characteristics thickness, thickness profile and flatness of the hot strip by adapted process control and measuring techniques. Especially referred to (11.2) here are the investigations of the relationship between strip tracking and the wedge of the thickness profile. Measures of the production of straight and camber-free hot strip with a wedge-free thickness profile are the implementation of complex controllable side guides in the entry and exit of the roughing mill as well as the tilting of the hydraulic screw downs in the roughing and finishing mill. A further focal point of the papers of the subject complex „hot strip geometry“ is shown by the development of the Topometric Flatness Measuring System (11.3, 11.4). The development and operational implementation of measuring systems for Online detections of temperature profile and coiling condition of hot strip down coilers as well as measures for the adjustment of homogeneous rolled strip temperatures and straight edge wrapped Coils are further subjects of the book (12.1, 14.1, 14.2). Experience with these measuring systems formed the base for three further applications in the area of the exit roller table. These include (1) The production of hot strip with uniform temperature and therefore homogeneous mechanical properties with simultaneous resource conservation using with control of the water cooling quantity, (2) procedure for the optimization of the coil form by pivoting of the coiler pinch roll and (3) procedures for the reduction of Coil breaks during the process of down coiling using a device to stretch level the hot strip. The cost optimized production of hot strip increasingly forces the use of peripheral components in order to minimized rolled material losses during production in case of plant breakdowns of failures. In this context it is necessary to preserve the strips in the entry rolling process line so that they can be utilized at a later time in the rolling process when the failure is cleared. The tool for the steel deformation - the rolls - is decisively for the quality of the finished product.